Introduced as a purportedly health-conscious alternative to butter, vegetable oil-based margarine saw a decline in popularly as the culinary world entered the 21st century, while butter made a hearty comeback. 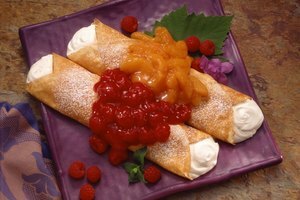 The rise in at-home baking plays no small role in this shift; while you can use margarine in cake, the butter substitute typically causes somewhat undesirable effects when it is used to replace the real thing. Butter derives from milk fat; when churned, milk takes on a rich and concentrated flavor. In the kitchen, butter passes this dense flavor on to your cake, giving it a creamier taste. In contrast the plant oils that make up margarine feature a neutral flavor. While using margarine isn't completely detrimental to your cake's quality, butter tends to give cake a more complex and better rounded taste than margarine. However, margarine's neutral flavor exerts a less noticeable effect when it's used in richly flavored cakes, such as chocolate varieties. The creaminess of butter translates into textural consistency for cake, while the plant oils of margarine lend it greater shortening power that leads to a crumbly, less elastic texture. Essentially, butter makes for a tenderer and moister cake, while margarine gives the cake a less springy quality. Likewise, butter helps baked goods hold their shape a bit better than margarine. If you decide to swap margarine for butter -- which may be a necessity based on dietary restrictions -- turn to a few tricks to bolster the taste and texture of your cake. Choose margarine specifically formulated for baking, preferably stick margarine with 80 percent oil content, rather than light, whipped or spreadable margarine. For cakes with a subtler flavor, such as white cake, add more vanilla extract to taste -- this helps bolster the cake's flavor complexity. If you're simply short on butter, you can use a half-butter, half-margarine mix and an extra dash of vanilla extract. 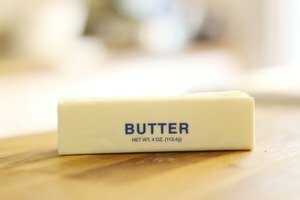 While margarine initially garnered a reputation as a healthier butter alternative, the Harvard Medical School notes that no evidence exists to support the idea that margarine lessens the chance of heart complications when compared to butter. 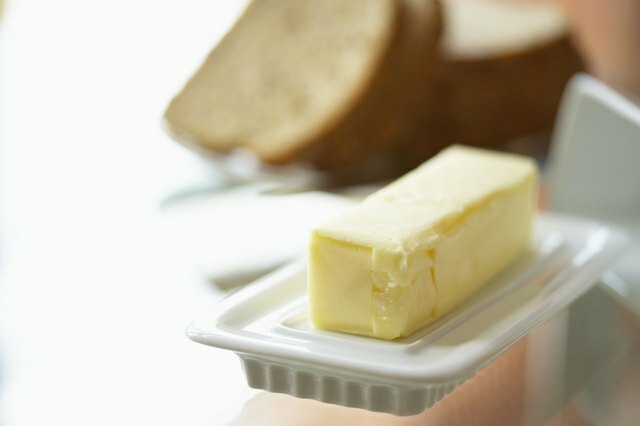 Although detailed fat comparisons only work case by case and vary widely due to the range of margarine varieties, moderation is key whether your choose butter or a butter substitute. 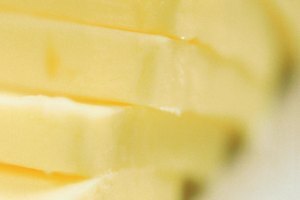 In contrast to cakes and other baked goods, swapping margarine for butter in a saute, soup, casserole, sauce or pudding works just fine. What Is a Good Substitute for Vegetable Shortening?